An LED (Light Emitting Diode) connected across the coax transmission line from my 635 ft sky loop antenna, during a thunderstorm. You can see the LED flashing with the lightning strikes. 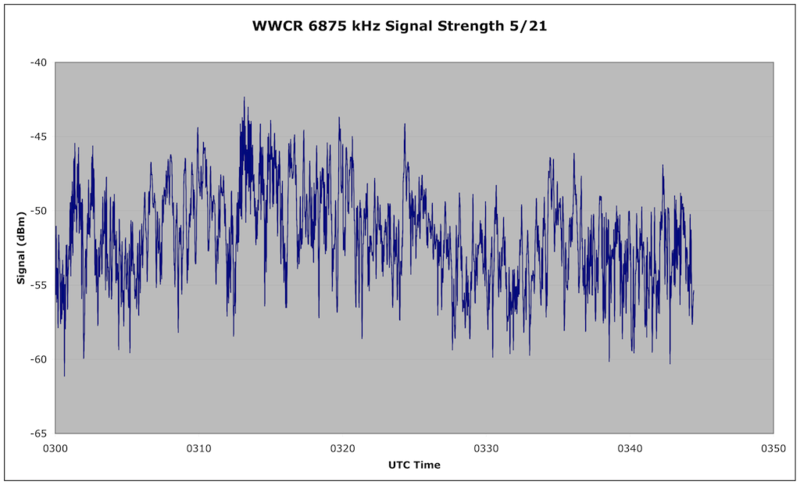 As of 2315 UTC on May 17, 2012, the station has moved to 6950 kHz USB, with the same repeated phrases. 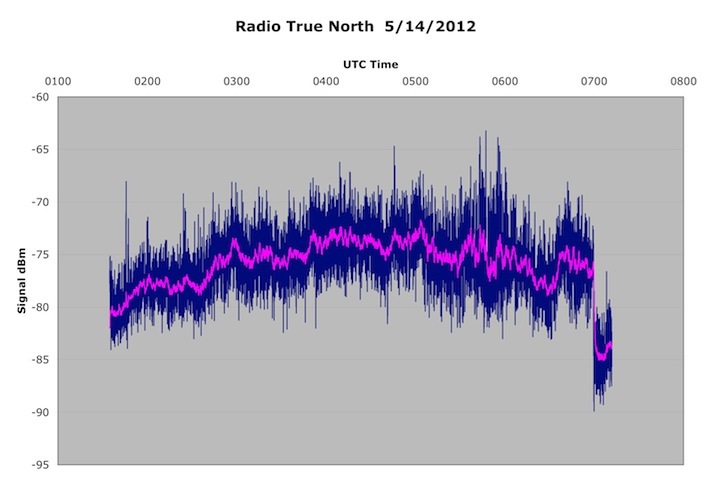 Andrew Yoder reports hearing this same station on November 5, 2011 on 21450.7 kHz. Some quick searches of the internet came up with something called the TIMIT Sentence Prompts. TIMIT was designed to further acoustic-phonetic knowledge and automatic speech recognition systems. It was commissioned by DARPA and worked on by many sites, including Texas Instruments (TI) and Massachusetts Institute of Technology (MIT), hence the corpus’ name. TIMIT consists of phrases of 630 speakers of of different sexes and eight major dialects of American English. The database is designed to assist in the development and testing of Automatic Speech Recognition systems. There is an online listing of the phrases. According to that list, phrases 1, 2, and 437 are being sent. Presumably someone is testing a system to perform automatic speech recognition on HF transmissions, and is conducting some real world test. There is a thread of loggings of this station over at the HFUnderground Message Board. I can only hope they don’t accidentally start transcribing 6925 kHz while Toynbee Radio is on the air. 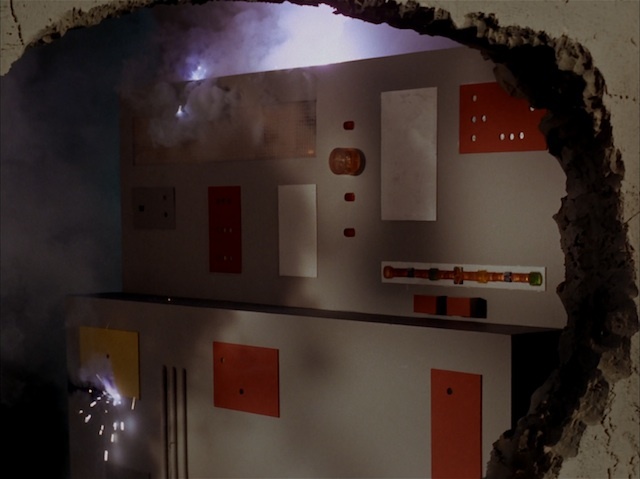 That could cause their computer to blow up, a la Kirk’s ability to make computers self destruct by confounding them with illogic on Star Trek. Still going at 1128 UTC on 6950 USB. 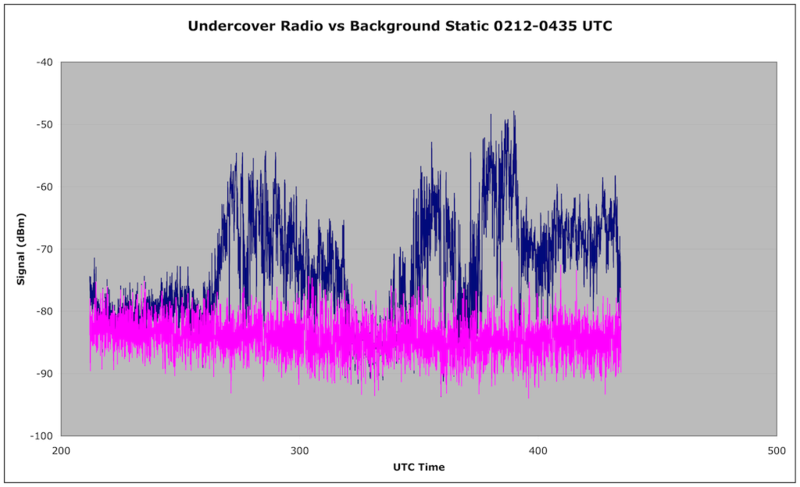 Previously I wrote about the various kinds of transmissions you can heard on the 250 MHz SATCOM satellites. 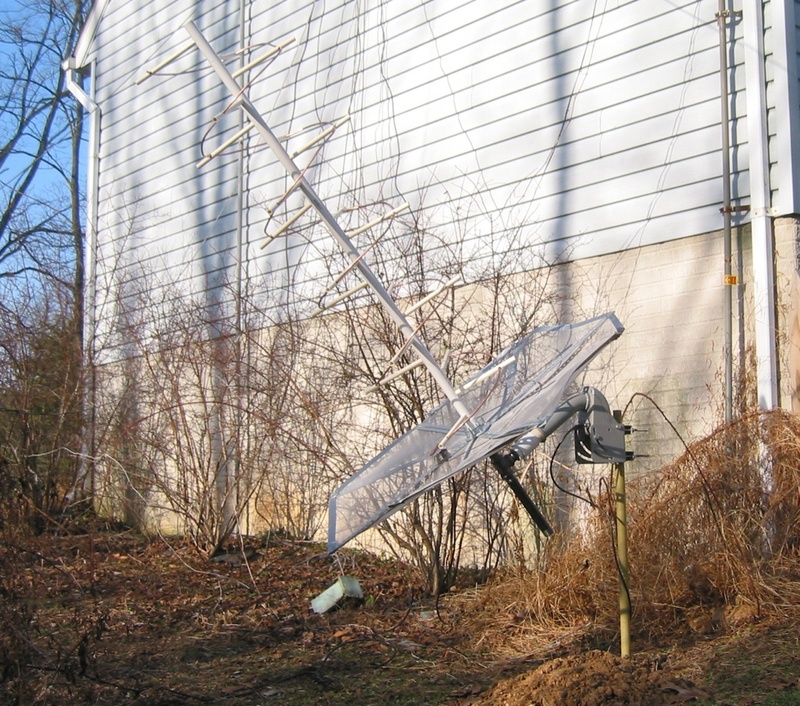 While you can pick these up with a standard scanner antenna, reception is much better with a directional antenna. 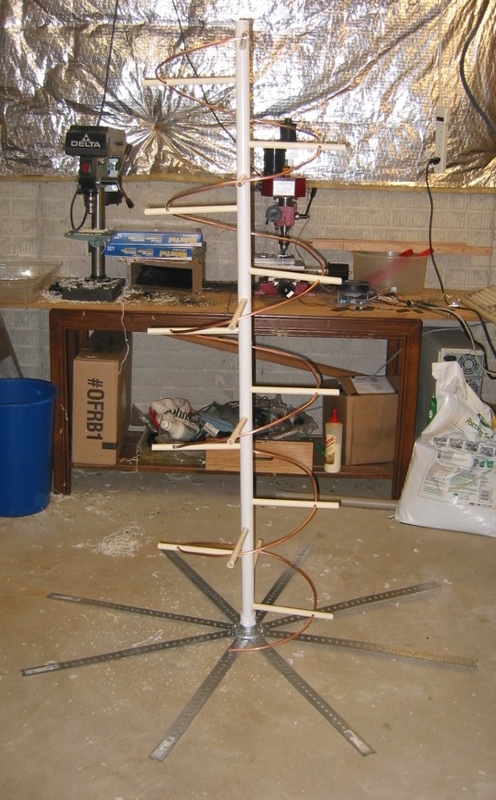 This page documents my project to construct a helical antenna for SATCOM listening, 240-270 MHz. 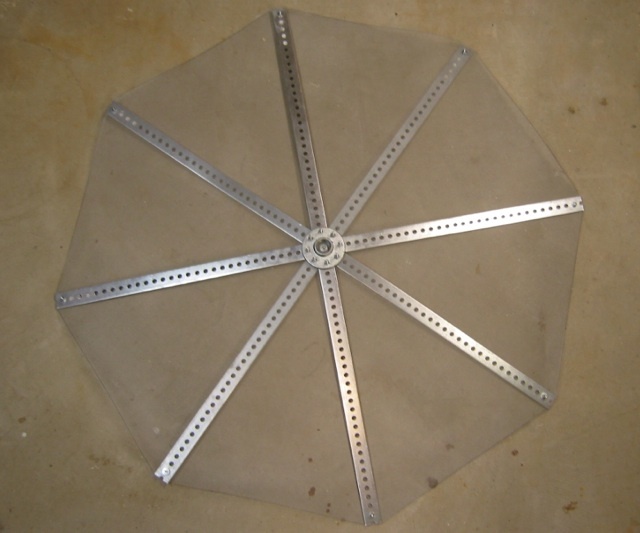 The antenna is based off the design found on this page, which has the specific dimensions and other technical details. 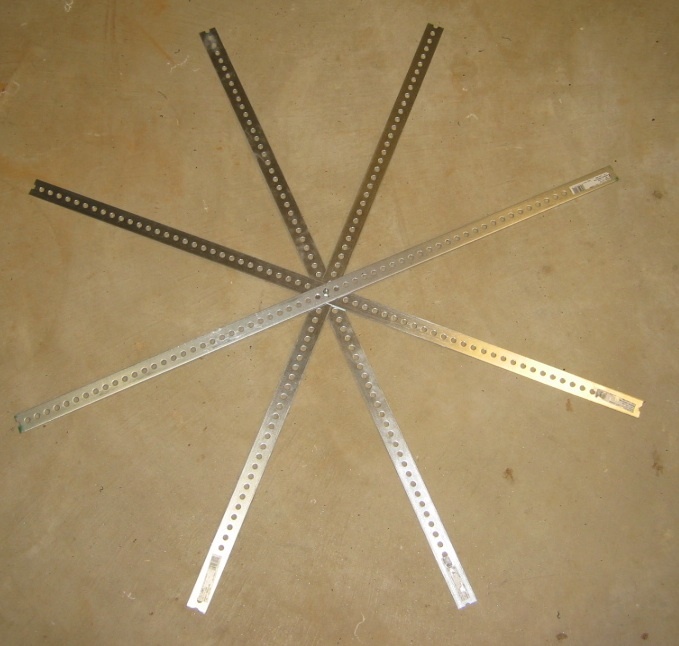 Four 4 ft long strips of steel, four 5 ft long pieces of 1/2″ PVC pipe, one 5 ft long piece of 1 1/4″ PVC pipe for the boom, and window screening for the ground plane. 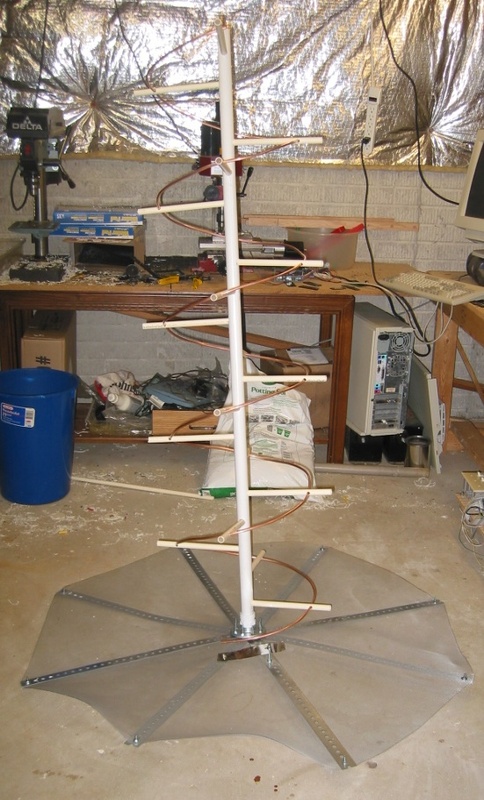 The [mostly] assembled helical antenna. 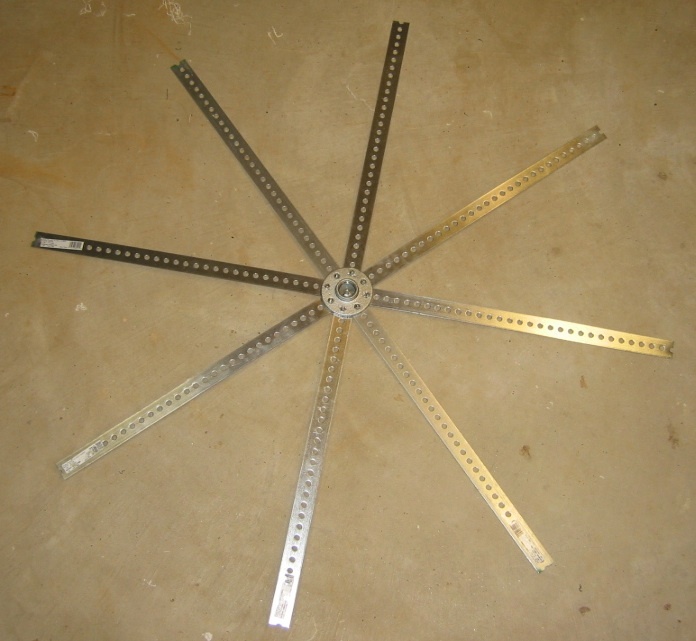 The matching section is made from tin-plate and is cut to be a quarter of a turn, about 60mm wide. 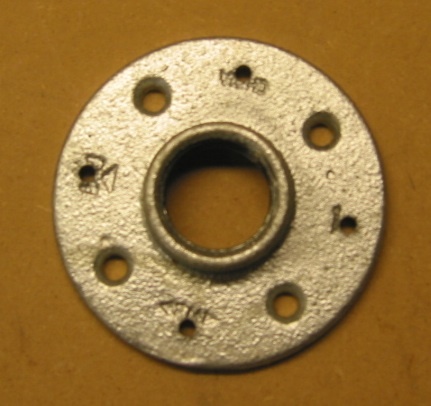 It’s soldered or bolted to the ground plane at the connector end, and supported by an adjustment screw at the other end. I’ve honestly not noticed much if any difference in the received signal, by fiddling with it. 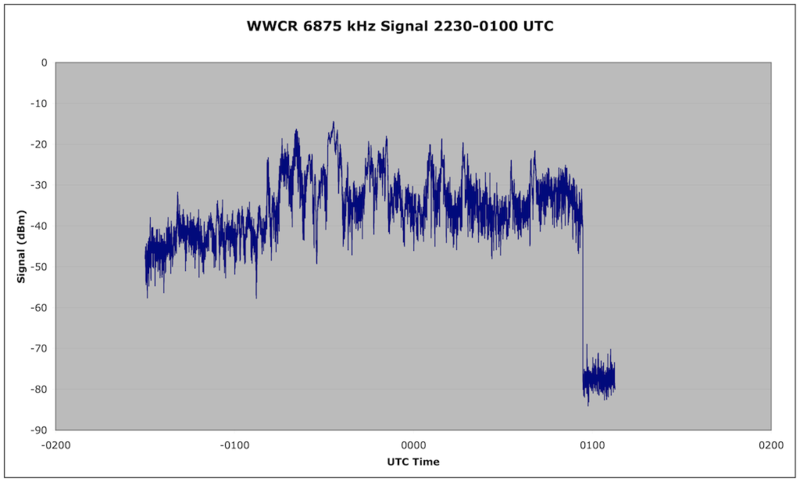 See http://www.uhf-satcom.com/uhf/uhfantenna.html for more details on the matching section. Here it is outside, mounted on a SG-9120 motor. 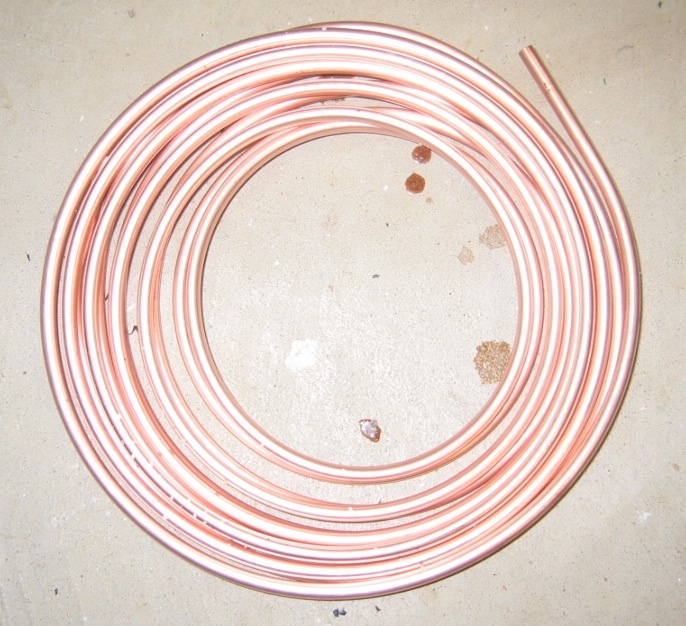 The motor uses the DiSEqC protocol for control, which is sent over standard coax cable. It is a standard in the satellite TV industry. The angle of the motor is adjusted based on the latitude of the receiving site, so that as the motor turns the satellite tracks across the geostationary orbit. 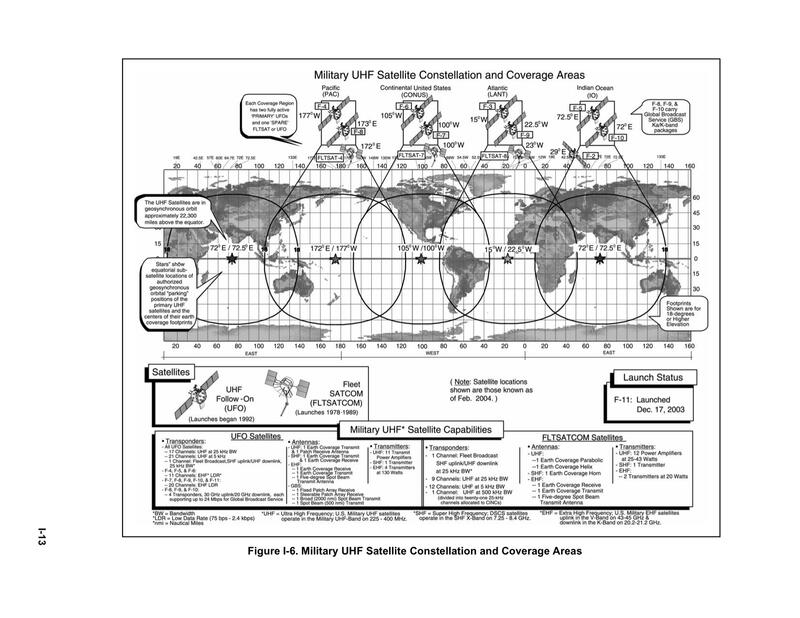 UHF SATCOM refers to satellite repeaters that operate between 240 MHz and 270 MHz. 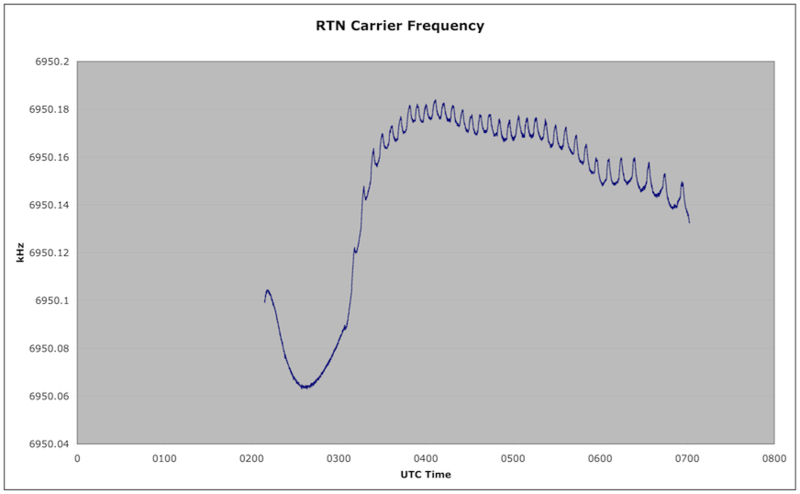 To receive SATCOM, you need a receiver that can tune the frequency range in narrow FM (most modern scanners can do this). 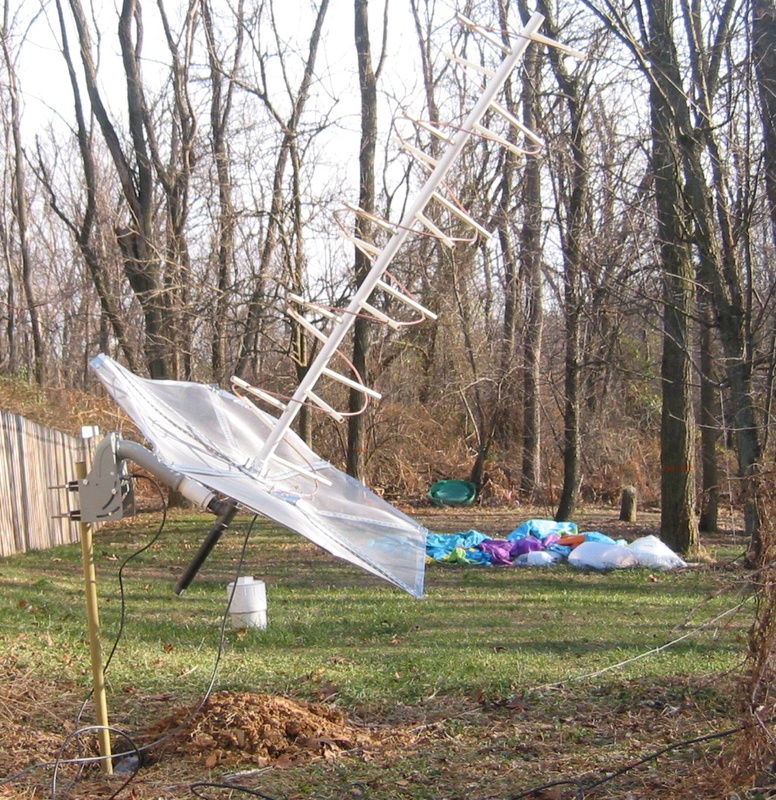 You also need an outside antenna, and possibly a LNA preamp. Back in 2009, 39 Brazilian pirates were busted, but the activity continues. 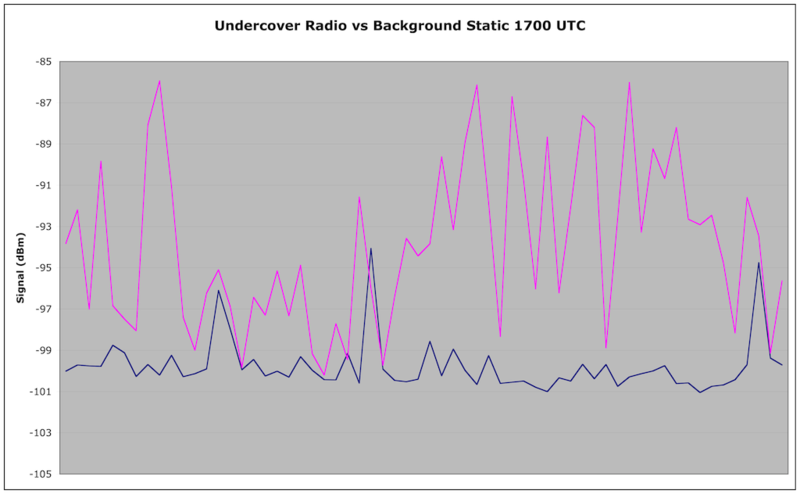 255.550 MHz is very heavily used by the Brazilian pirates. As I am typing this, I am also hearing pirates on 253.500, 253.750, and 262.190 MHz. 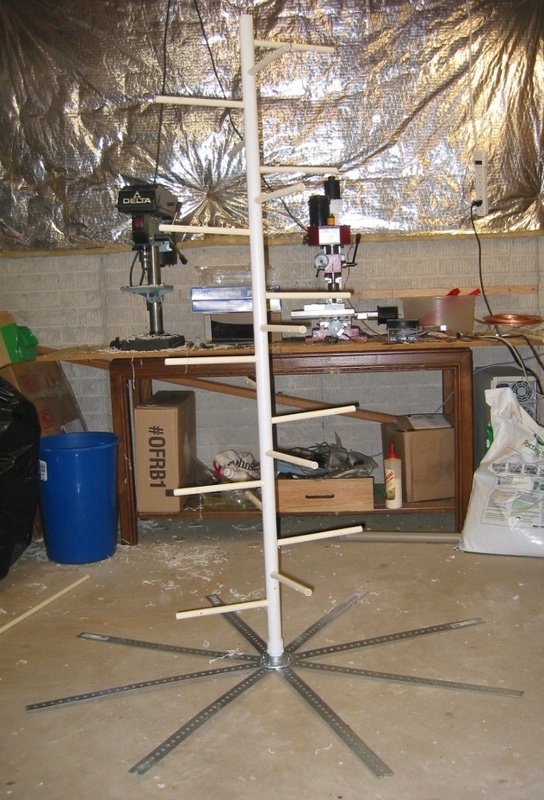 While you can start with a basic outdoor scanner antenna, such as a discone antenna or other scanner antenna , many serious listeners eventually build a directional antenna, such as a helical. I will have construction information about one that I built in a future article. Next, since the signal levels are often very weak, the use of a LNA preamp is highly recommended. I built one of the Down East Microwave Inc. GaAs pHEMT pre amp kits, and find that it really helps a lot. Have you run across an odd sounding digital transmission in one of the SWBC bands? Possibly, you heard a DRM transmission. 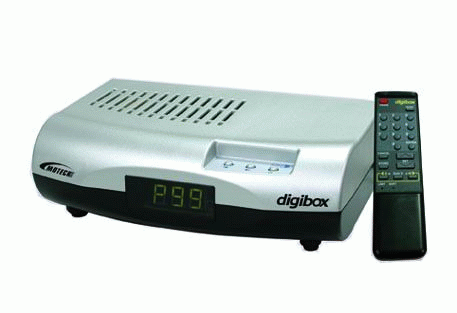 Digital Radio Mondiale (DRM) is a digital audio broadcasting technology that claims to provide FM quality sound over shortwave radio. It uses MPEG-4 codecs. Comparing the transmissions, you can see how easy it is to distinguish a DRM transmission from a regular AM transmission. The signal intensity is pretty much constant over the entire 10 kHz bandwidth, and there is no strong carrier in the center, with the symmetrical sidebands around it. For this reception, I used a netSDR receiver with a 635 ft sky loop antenna, running the SdrDx software. 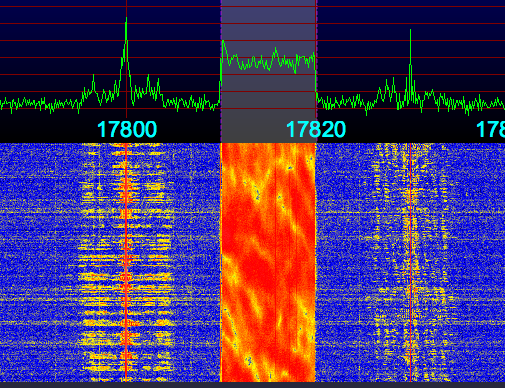 SdrDx was set to USB mode with a 10 kHz wide filter, since the DRM transmissions are 10 kHz wide. 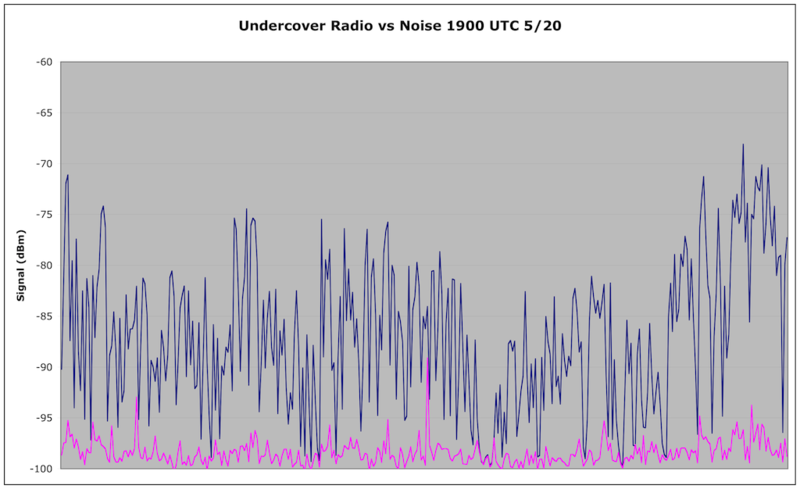 The output of SdrDx was fed through Soundflower (a virtual sound device) to Dream, which does the DRM decoding. Below is the main Dream window, showing some basic information about the DRM signal, such as the name of the station, target area, etc. This is all obtained from the DRM signal itself. The audio bitrate is also displayed. There is only one audio channel on this transmission, there could be multiple channels. One thing to remember about DRM, it is like most digital transmissions – all or nothing. 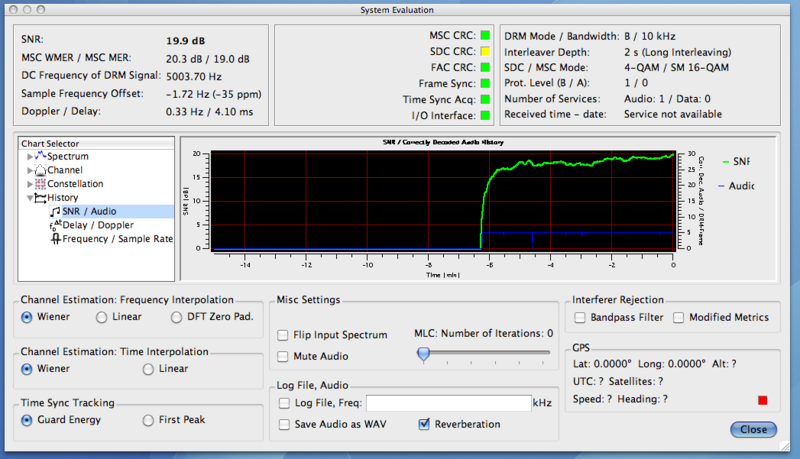 If the reception quality of the DRM signal is poor, the audio will completely cut out. So when reception is good, you get great audio. When it is poor, you get nothing. Another point, about Dream itself. It is the poster child of open sores software. There’s no OS X binary on the download site. Download the source code, hunt around for zillions of libraries, compile and link the app (Wait! You’re not a programmer, you just want to use the app? Tough luck, kid). Lather, rinse repeat. I did find a binary download link for Dream for Mac OS X here. It’s from 2009, but it seems to mostly work. There is a DRM encoder called Spark. I am not aware of any pirates that have tried using DRM in their transmissions. They’d need a transmitter that can handle very wide (at least 10 kHz) audio in SSB mode. There are some lower quality DRM formats that use 4.5 and 5 kHz wide transmissions, with resulting lower quality audio. It might be an interesting experiment for some of the the more technically minded ops. A good source for up to date DRM transmission schedules is the Shortwave Broadcast Schedules app, available for both the iPhone/iPad and Android. DRM transmissions are identified with the word DIGITAL in the station name.